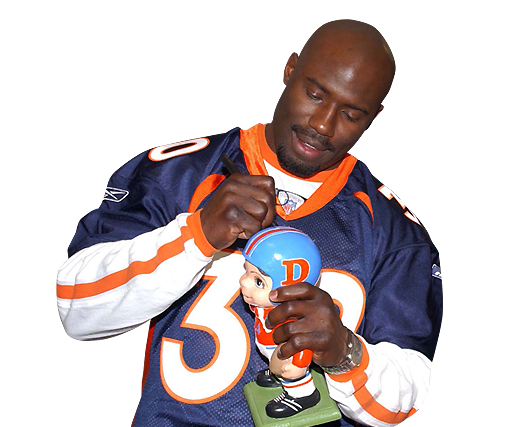 Denver Broncos legend, NFL Hall of Famer and entrepreneur, Terrell Davis was born October 28, 1972 and had a historic career from 1995 to 2001. 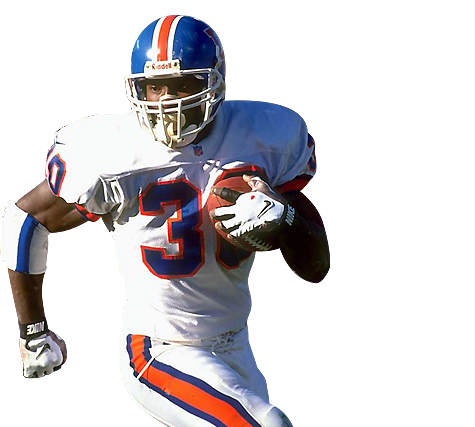 Davis was drafted by the Broncos in the sixth round (196th pick overall) of the 1995 NFL Draft. 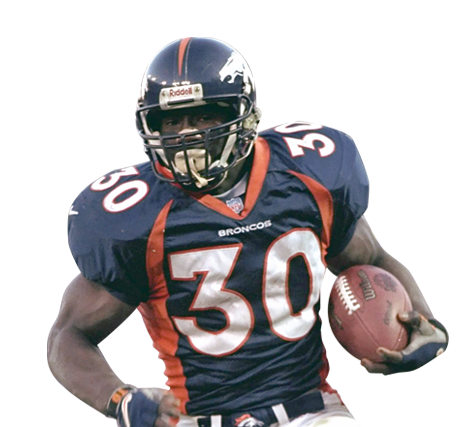 Davis is the Denver Broncos all-time leading rusher, with 7,607 rushing yards. As a player, he was given the nickname “T. D.” by players, fans and the media; this denoted both the initials of his first and last name as well as being an abbreviation for touchdown. Davis was sent to the Pro Bowl in the 1996, ’97, and ’98 seasons. 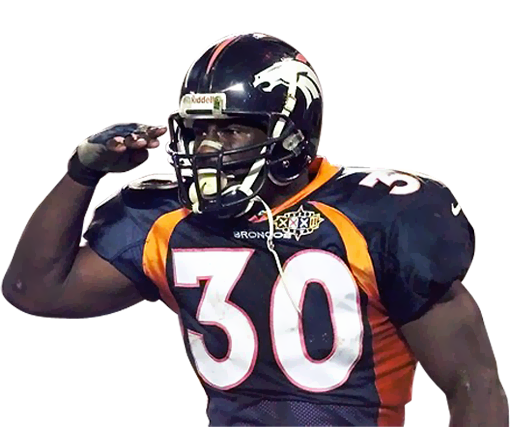 Nicknamed “TD,” Davis popularized the “Mile High Salute,” a military-style salute given to fans and teammates in celebration of a touchdown. 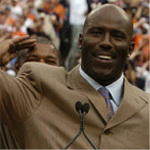 On July 27, 2007, it was announced that Davis would be inducted into the Denver Broncos Ring of Fame. 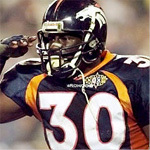 His induction ceremony took place at Invesco Field at Mile High on September 23, 2007, in a Broncos home game against the Jacksonville Jaguars. In 2006, Davis was inducted into the Breitbard Hall of Fame and into the NFL Hall of Fame in 2017. 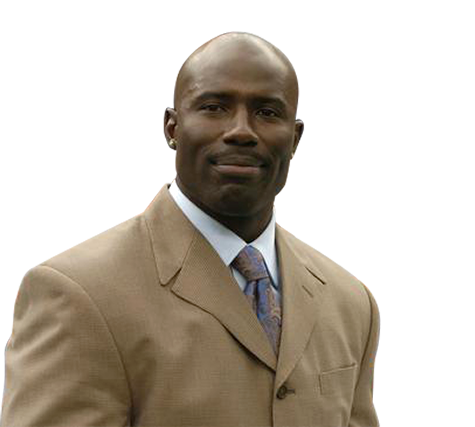 After his legendary days on the field in the NFL and at the University of Georgia, Terrell is now available for corporate appearances, motivational speaking engagements, VIP meet and greets, autograph signings, football camps, celebrity golf tournaments, product endorsements and is considered one of the top athlete speakers. 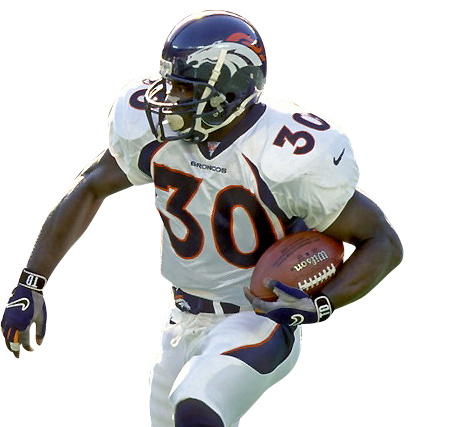 With Two Super Bowl championships and Three Pro Bowls under his belt, Terrell can speak to your group about passion, dedication, perseverance and the will to win! Hire Terrell to share his stories, deliver a motivational speech and meet & mingle with your best customers, clients and employees. Contact us at 1.888.246.7141 to book Terrell to speak at your next corporate event.